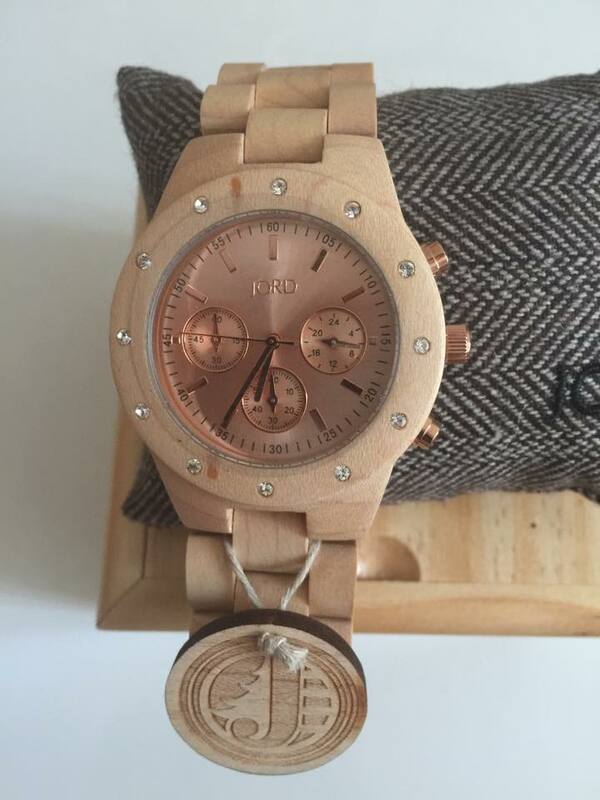 I'm a sucker for unique things and haven't something different like JORD Wooden Watches. These piece I've had for a little while now and unfortunately as you will have seen in my recent breaks between posts I've been a little caught up in my life as it's gotten hella busy. 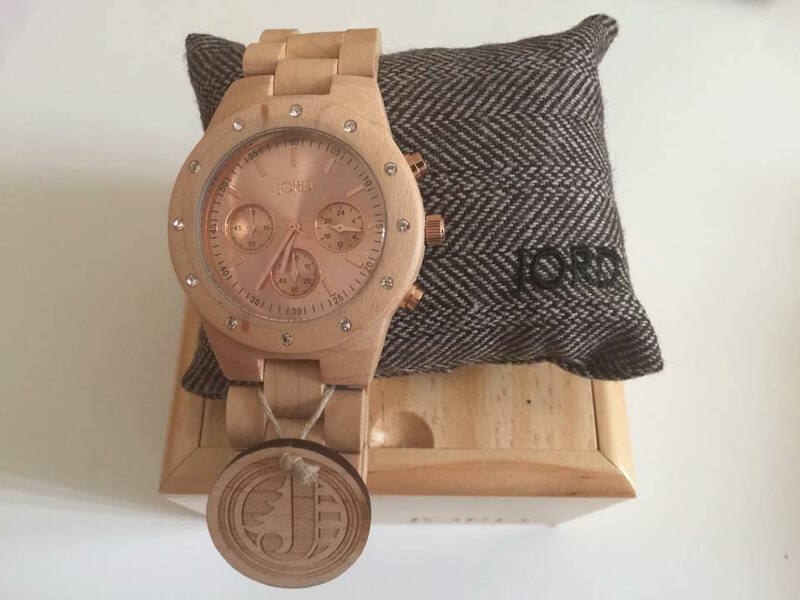 JORD Wooden Watches are handcrafted and are that perfect staple accessory to go with anything. I picked out the Sidney in Maple & Rose Gold. For those of you who know me you will know that 1. I am not a jewellery wearer at all and occasionally I will pop on a necklace.. no earrings, no rings, no bracelets... complete nadda and 2. I am a lover of Rose Gold; let's be honest, who doesn't really. A wooden watch that has swarvoski crystals inlayed in bezel circling the face of the watch. The rose gold features through the face of the watch and the maple, being the color of the wood used for the watch itself. I feel really comfortable in wearing a JORD watch, it doesn't feel like an overall of the normal jewellery colors being your coppers, silvers and gold's. It's a unique piece, light in weight. A double sided clasp makes it easier to get this watch on and off yourself, without having to awkwardly scrunch the arms and fingers whilst attempting to one handed put on this watch. The face is of a perfect size. It takes up a good amount of covering my forearm but is easily seen from a distance like now as I write this post, with my hands at the keyboard. 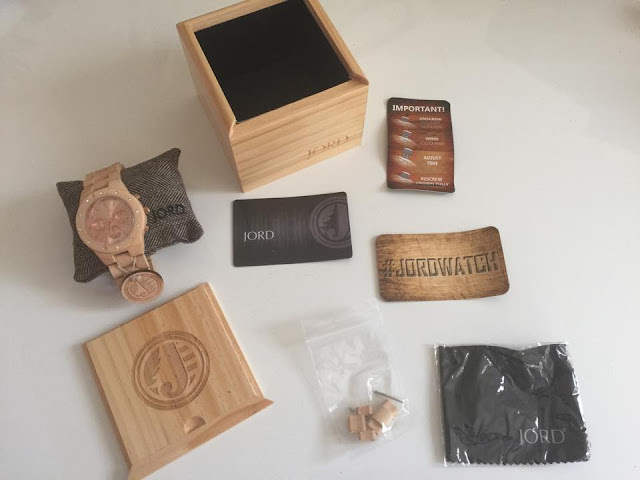 Presentation wise the JORD Wooden Watches go above and beyond with having a little wooden box that the watch comes in, rested upon its own little cushion for care, a cleaning cloth and extra links. JORD Wooden Watches personalise to fit your wrist. Measure up your rest and advise JORD when ordering and you have your very own piece from the JORD collection. The Sidney watch is $199 with free shipping worldwide. Disclosure: This post is brought to you by JORD Wooden Watches I received this product mentioned above for consideration. I received no payment for this review and all opinions expressed in this post are entirely my own.